Habits Of People Who Trust Their Instincts #Infographic ~ Visualistan '+g+"
We may all be familiar with a sudden “gut feeling,” but its implications could mean more than a rash decision or a tendency to jump to conclusions. In fact, our levels of intuition and when the feeling strikes says a lot about who we are and where our priorities lie. When used in tandem with honed critical thinking skills, intuition can take us further than we can imagine. Though we are conditioned to ignore our intuition, preferring to place our trust in facts and the status quo, real intuition is simply part of being human. Just as instinct helps us to recognize danger on an evolutionary level, intuition works as a kind of sixth sense to guide our decisions and influence our future. Among Americans, 50% say they trust their gut to tell them what’s right, and even in professional settings 62% of business executive say they make regular use of their gut feelings when making decisions. Your intuition may be trying to tell you how to make better decisions - are you listening? 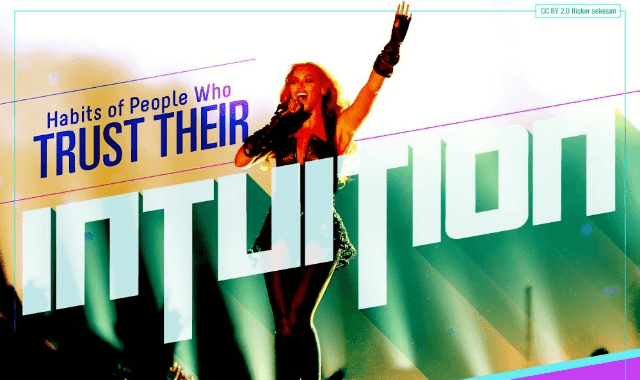 Take a look at this infographic for more on the influence of intuition, how bridge the gap between gut feelings and logical thinking, and how the synergies of the two can compound into greater rewards, more success, and a better life.